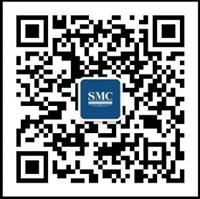 Come and see what's new in the early spring fashion of the food industry. Containers, the most convenient tools for loading and unloading, are ports, bridges and tunnels. In recent years, containers have acquired a new identity – an environmentally friendly alternative to traditional materials. Whether you are building a city farm, a housing villa or an integrated swimming pool, transport containers can meet your needs. 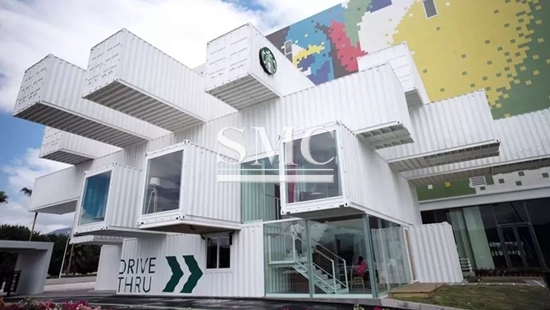 Designed by Japanese architect Kengo Kuma, who is known for its materiality, the Starbucks Taipei Container Store is Starbucks' first container store in the Asia Pacific region and the 40th container store in the world. 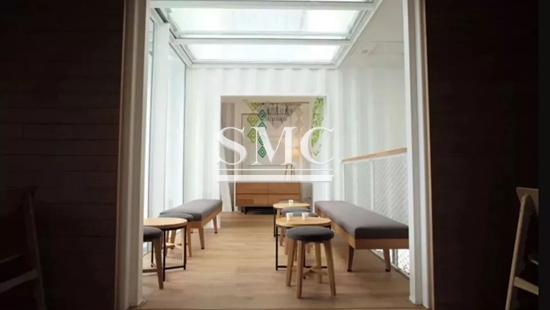 Kuma arranged 29 used containers in a two-storey building with a through train. He designed a series of overhanging rectangular structures with vertical angles to evoke the public's imagination of "uneven leaves on coffee trees." The Taipei store is one of the first stores in Asia to be built under Starbucks' new “green store” policy, which aims to build stores in as sustainable a way as possible. This is not Starbucks' first container store, but it is a coffee container store with an impressive architectural heritage.